We help you through it. Increasingly complex child support laws can make things confusing. We’ll simplify it for you. Divorce or separation is rarely easy. When children are involved it can become a whole lot more complicated. 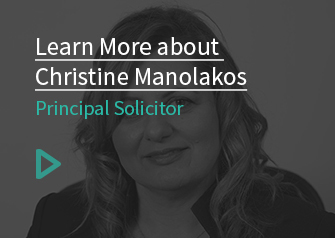 Because at CM Lawyers your appointed solicitor will be working closely with you on your case, you’ll be able to get the best child support outcome for you and your family. How are child support payments calculated? Most children of separated families are covered by the Department of Human Services’ Child Support Scheme. The scheme’s purpose is to ensure children are receiving an adequate level of financial support from both parents. This is calculated based upon your individual circumstances and living arrangements and is administered and monitored by the Child Support Agency. You can find out more by heading to the Department of Human Services website. What if I think the child support payments are unfair? The Child Support Agency (CSA) works out how much each parent should be contributing to the upkeep of a child’s needs based on a formula. This includes income, the cost of raising a child, how many children you have and how much time you spend with your child. If you disagree with the calculated amount you can dispute it. Initially, this would start with filing an application with the Child Support Agency. If you’re still uncomfortable with the CSA’s second decision, you have 28 days to lodge your objection. Do all child support agreements have to be formalised? No, for many families there is no need to seek legal advice or the assistance of the CSA in regards to their child support payments. These couples may choose to make private agreements that can be both informal and unwritten. Alternatively, these parent-made arrangements can be documented using a Child Support Agreement. Properly prepared, a Child Support Agreement gives you a balance between making your own financial arrangements while having the security that compliance can be enforced if one party fails to do so. Thinking a formalised Child Support Agreement might be right for you? By taking a practical approach to your family situation our solicitors help establish an agreement serving your child’s best interests and getting you moving on sooner. How are child support payments connected to my child custody arrangements? Formal child support payments are negotiated on a Child Support Agency formula factoring in both the income of each parent, how many children they have, and the amount of time each child spends in each parent’s custody. If your custody arrangements are weighted in favour of one parent over another your child support payments will reflect that. Our family lawyers are available to answer your questions about parenting arrangements, child support and court attendances. Fill out an enquiry form and a solicitor will call you back shortly or call us today to speak to a member of our legal team.